i’m talking 75% off, people. don’t even take another look at the 30% and the 50%. william rast tank top: i believe that's justin timberlake's clothing company, no? i'm pretending i don't know beyond a shadow of a doubt that it is. brings the total to just under ten dollars. sometimes people use strange store names in conversation with me. names like gap, express, and macy's. and i'm like ummmm… huh? what are those? 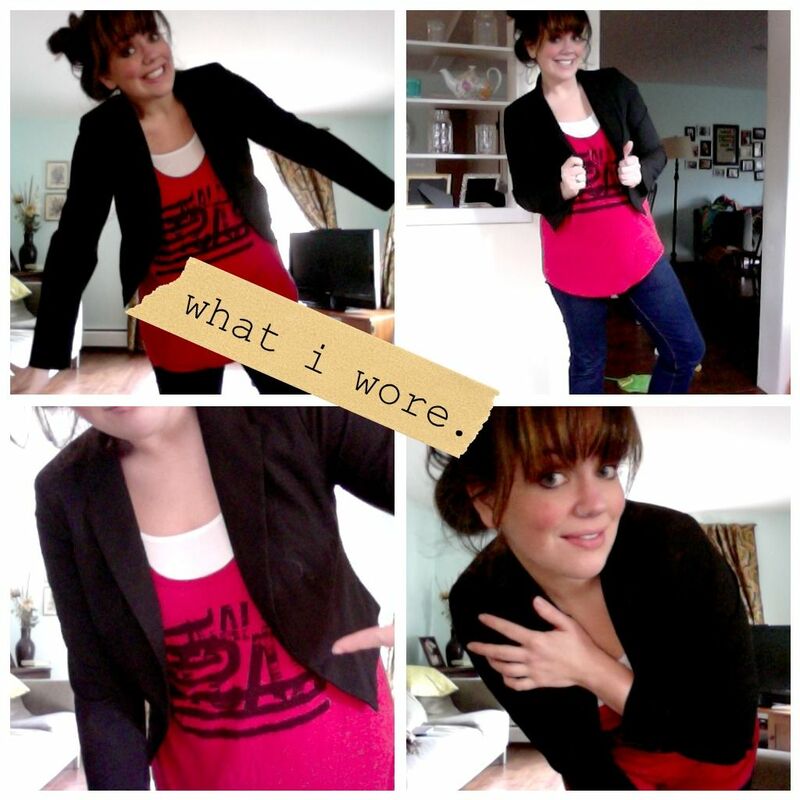 i'm linking up, for the first time eva, to what i wore wednesday. cause this is what i wore tuesday...so why not? LOOOVE me some fab finds on clearance! stopping by from the pleated poppy! Awesome deal! I always search those racks but end up getting frustrated when my favorite finds aren't in my size... I don't even know why I check the sizes tha tdon't fit me, but I do :) But you did great! And yes, William Rast most definitely is Justin Timberlake's clothing line. I had to go back and read your entry that you linked to and I could not help but sit here and smile because I was the exact same way. OB-SESSED. I recorded every single television appearance that Nsync had and would re-watch them over and over and I knew every single little fact about JT and I still remember most of them, embarrassingly enough. Boy band days were the best. I'm pretty sure we would've been best friends if we had known each other at that age :) Hilarious. I am all about some target! I have a favorite pair of cargo skinnies I got there for $4. Love your post, made me laugh! AWESOME!! And I just discovered your blog too! You go with the $10 outfit, it looks great! Come on by my WIWW for a great giveaway today! love me some target! and gosh you are freakin' cute!!!! SCORE! Love the 75% off rack! It's the 1st thing I look at! dude, i'm totally jealous of that sweet jacket for $2.50. way to go! love it! what a great. . .no awesome deal! Happy Wednesday! Super cute! Target rocks. I buy a lot of stuff from Target or Kohls, mostly because that's what I had in my old small town. I moved to a bigger city in the fall and it's a shopper's paradise, but I just can't justify spending the money. We're talking people who spend $75 on one dress for their child! ACK! i agree, the 75% off rack is the only one worth looking at. you look HOT. you go girl! This outfit is rocking and for the price, WOW, awesome! but you sure look cute as h and at that price, h yeah. it is SO true. If I had to choose one store to shop at (given my current income...not a lotto winning one) Target would be just fine. high five, well done. $10?! this is my kind of outfit. you look like total hawtness. you're my kind of lady! I want you to move to kansas city so we can hang out...stupid new york! kidding. I'm just jealous. Love the outfit! Target 75% off Clearance Rack 4Eva. hahah loveee this post. and I loveee target as well and this makes me want to get my toosh over there now! What a deal! Love it. You AND your outfit rock! My good friend Mary said I should check out the Pleated Poppy...and now you're doing it too...oh, the peer pressure is just too much! cute outfit,, and love the price. I never have luck at Target though. You look awesome!! I love deals! ps.. I love JT too and still quote the random nobody should know or care facts about him haha my poor husband! i love the target comment section! they have a super cute jacket right now that i NEED. i do splurge on designer jeans, but pretty much everything else comes from target!! i am OBSESSED with target!! love the outfit!! look at you! love the red aaaand the jazz hands! Love it! I'm going to have to check out Target soon! I'm loving their workout stuff, need to check out these clearance racks you speak of though! stop being so cute. seriously. why are you so cute! i'm jealous. i love me a bargain. gap has good ones too if your persistent in your hunt. you are so cute. aaaahhhh! Ok, a trip to Target is in order for me. LOVE the outfit! Oh, TARGET! I love love love. Just visiting your blog for the first time! Hahaha, you make me laugh! I love it all! I love myself some Target clearance rack too. Sometimes I pray that I will find something that I loved buy could not justify buying at full price on there. right on chick! target clearance rack is da best! you look fab! Gotta love a deal! You are rockin the look. 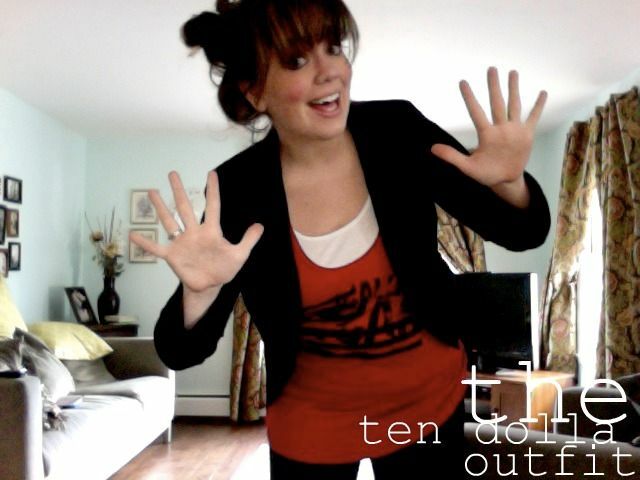 If you check out my post you will notice that pretty much all of my clothes come from Target as well! If not there then usually Old Navy! Ha! I love a good Target clearance sale! Your pictures are great...I love all your fun poses! wow! I thought that my forever 21 finds were good! I guess I still have a thing or two to learn from you. you are so freekn cute. Oh man, are we gonna have a throw down over JT. And I was just starting to get to know you :) Cute outfit! You are flippin hilarious! Love the outfit, and secretly hating that it wasn't me that scored those awesome deals! LOVE the target clearance racks!! When I was pregnant I got SO many maternity tank tops.. like one in ever single color and they were each $2! You can't beat that.. that's even better than most thrift shops! Rene Russo Celebrity Profile - Check out the latest Rene Russo photo gallery, biography, pics, pictures, interviews, news, forums and blogs at Celebrity Ping!